If you want to make passages and to anchor in the most beautiful places on earth, this is the boat for you. Independent from shore power or water. Draft 0.8 meters for anchoring in shallow water. But at sea a safe, stable and fast boat. Draft 2.1 meter. Full aluminum hull and deck. Maintenance free and safe. Displacement 8 tons, ballast 3.5 tons. Fully equipped with Solar panels, watermaker, inverters, fridge, gas stove, heater fridge and everything else. Also TV, Stereo, DVD and so on. Owners' version. 2 cabins with double beds. 2 single beds in saloon. Big tables inside and in the cockpit. Integrated swimming platform with ladder and shower. Navigation table with full electronics, AIS, Chart plotter, Notebook worldwide charts. 1 built-in, VHF 2 handhelds. SSB radio with SCS Pactor for weatherfax and sailmail/airmail. 3 anchors, 50 meters 10mm chain. Lofrans winch, remote controlled. Also from the wheel. Diesel engine Volvo Penta 50 HP. 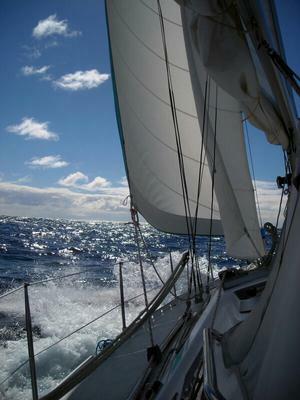 2 furling genoas, 3 smaller headsails on second forestay. Self tacking traveller for the small one. Spinnaker and mainsail. Easy to sail single-handed. All winches 2 speed self-tailing Harken. 2 totally independent autopilots. Simrad and coursemaster B&G. 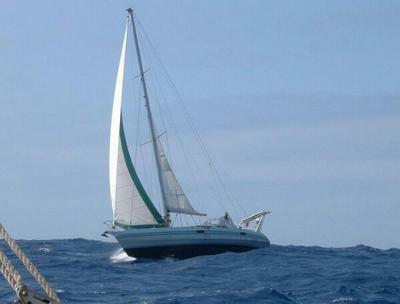 We sailed her from Europe to Thailand. Now we bought a apartment and next year we stop sailing. The boat was on the Phuket Premier boatyard last month. Everything is OK. New standing rigging, new dinghy and new outboard. 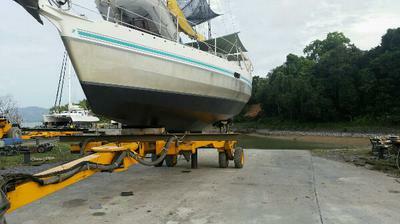 New antifouling. The boat is ready to go anywhere. 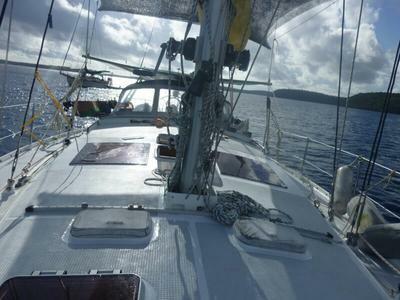 We will sail her to Langkawi. Malaysia. The paperwork and registration can be done there easy - and Langkawi is duty free.